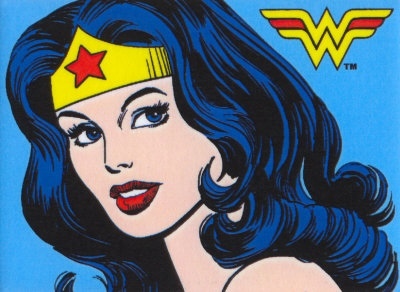 The bible has Proverbs 31 virtuous woman, who to us women, she seems like a “Wonder Woman” with supernatural power. Once again we will continue our series on this Proverbs 31 woman as a “profile peeker” to see who she really is. Here is a woman who is balancing her personal life with her professional life. This woman who is TRUSTED by her husband is hard-working and shrewd. There is much liberty when we submit to God’s order and we see that she had liberty of choice. The principle here is that this woman uses her mind as she envisions the long-range benefits of her decisions. She doesn’t make rash decisions, but logically analyzes a situation. His comment is almost exactly what this Proverbs 31 woman was like. It is hard to juggle all the balls that are thrown at you daily, isn’t it? Life is busy—especially if you are a working mother with small children. We are expected to bring home the bacon, fry it up in a pan, serve it, clean up the dishes, and do it all OVER AGAIN the next day. God will give you strength. God can renew your strength to ACCOMPLISH all that is on your plate for the day. Are you overwhelmed? Facing a lot? Prov.31:16, goes on to say that she spends her money wisely, providing for her family. This vineyard provides for the future because it keeps producing grapes for wine. She can plant more vines and then buy more land. Are you the type of person who buys items on a whim? Do you consider what the item will be worth to you later on? This woman is not borrowing money or using credit cards. This woman uses spare money out of her SAVINGS. This is exactly what God desires for each one of us. He doesn’t want us begging, borrowing or in agonizing debt. God wants to see us in financial freedom with all our needs met. In pursuit of making more money, we can choose to neglect the important priorities in our lives. We can neglect spending time with our SPOUSE or make poor decisions that lack integrity. Prayerfully determine your financial priorities. If you are in debt, get out of debt! Glorify God with your marriage. Let the HOLY SPIRIT set up short term and long term goals for you.